Sony Computer Entertainment CEO Andrew House recently told investors the PS4 "will not generate" the same losses as the PS3. Arguably the PS3's biggest obstacle to success has been its price. At launch it was so expensive that many couldn't afford to buy it. Even just making the console however, was a costly process. For years Sony was taking a loss on every PS3 it sold. Commenting on the manufacturing expenses of the PlayStation 4, Sony Computer Entertainment CEO Andrew House reassured investors that those kinds of losses will soon be a thing of the past. "We will not generate anything like the losses we did for the PlayStation 3," he said. 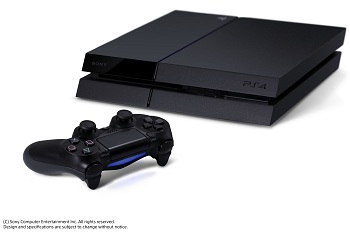 Sony CFO Masaru Kato likewise affirmed that the expenses of the company's new console were "much much smaller." The reduction in cost comes primarily from its more standard components and PC-like architecture, facets that should help Sony evade the manufacturing burdens of the PS3, which used the custom Cell processor. Obviously it's hard to argue with lower production costs. That being said, some have noted that Sony's use of more standard parts for the PlayStation 4 have left it with more than a few technical similarities to its competitor, the Xbox One. Granted, a bit of console homogeneity is probably preferable to losing oodles of money on every unit you sell. That said, Sony's probably going to have expand its future marketing beyond the "PS4 does what Xbox One don't" messaging that was at the centerpiece of the company's E3 assault. With specs similar and Microsoft ditching many of the Xbox One's more restrictive DRM, it's a sail not likely to catch as much wind in the future.